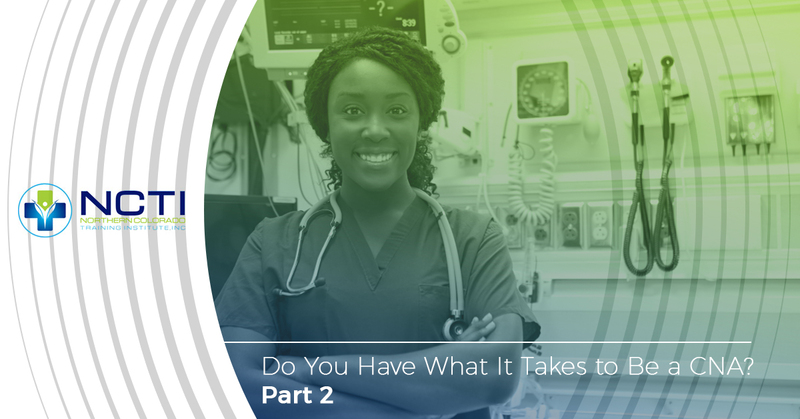 Many people dream about a career in the medical field, but the truth of the matter is that not everyone has what it takes to be successful in the role. In our previous post, we reviewed five traits that are essential for CNAs to have in order to meet the needs of their patients. Today, we will continue our discussion on the topic by reviewing five more must-have traits for CNAs. If you feel confident that pursuing a career as a CNA is right for you after reading today’s post, check out the Colorado CNA classes offered by Northern Colorado Training Institute, Inc. and contact us to get your enrollment started! You will need to communicate clearly and effectively with a variety of people when you are a CNA. For example, you will need to speak with doctors, charge nurses, and other medical professionals to provide updates on your patients. You will also communicate directly with patients and their families, of course, requiring a different, much more compassionate set of communication skills. That means you must know how to adjust your communication methods appropriately for the various parties you speak with. 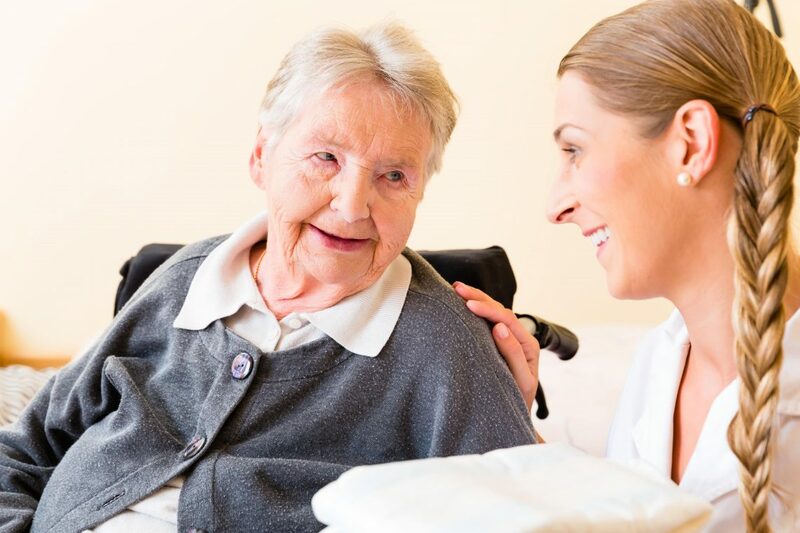 Your work as a CNA is likely to be physically and emotionally draining from time to time, and this is especially true if you are working long, unpredictable hours as many healthcare professionals do. Successful CNAs possess a strong work ethic and sense of responsibility to their patients and their employer, even when they are feeling overworked, under-appreciated, and exhausted. This trait will keep you going when you feel like it might be easier to give up, and it is something that even the best CNA classes can’t teach. We hate to sound cliché, but laughter truly is one of the best forms of medicine. Even though the hours can be long and the work can be physically and emotionally draining, it is important for CNAs to have a strong sense of humor. No one wants to work alongside someone who has a “doom and gloom” mentality all of the time, and patients certainly don’t want to be cared for by someone who is serious and somber. Laughter and lightheartedness are good for the soul, and both you and your patients can benefit from your sense of humor. As you work with patients, you will likely come across a few who have very different lifestyles, views, and opinions than you do. For example, you and your patient may have starkly different religious or political beliefs. Of course, you don’t have to subscribe to the same beliefs as your patients, but you do need to accept and respect them in order to provide them with the best care possible. This is especially true when it comes to assisting in end-of-life rituals and other requests in order to accommodate a patient’s wishes. CNAs often spend more time with patients than nurses do. That means that much of the documentation related to the patient’s care will be your responsibility, and it is important to have an eye for detail when completing forms, reports, and transcriptions. Likewise, strong attention to detail is critical for noticing small changes in your patient’s behavior that could indicate a slight change in their condition. Taking the time to pay proper attention to details is essential to a CNAs job. As you can tell, being a successful CNA requires several specific traits to ensure that patients are well cared for and respected. If you are passionate about helping others and want to start your career as a CNA, then Northern Colorado Training Institute, Inc. is here to help you. We offer several different types of Colorado CNA classes, including a hybrid/online class, a traditional classroom course, and a parent CNA program — one of which is sure to meet your educational needs and your budget. Even better, we have locations in Northglenn and Loveland in order to make going to our CNA classes as convenient as possible. Check out our course listings today and call us at 800-276-0274 to get started — we look forward to hearing from you!